You are currently browsing the category archive for the ‘Photopol.us Scoop’ category. 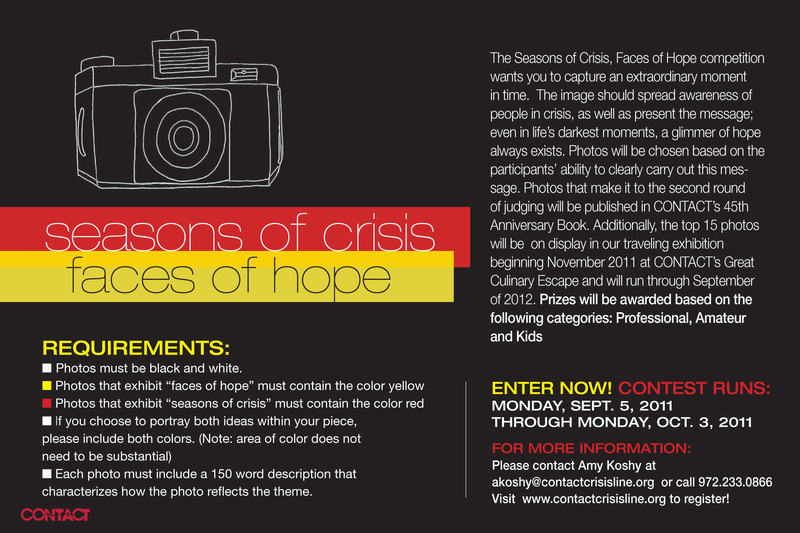 The Seasons of Crisis, Faces of Hope competition wants you to capture an extraordinary moment in time. The image should spread awareness of people in crisis, as well as present the message; even in life’s darkest moments, a glimmer of hope always exists. Photos will be chosen based on the participants ability to clearly carry out this message. 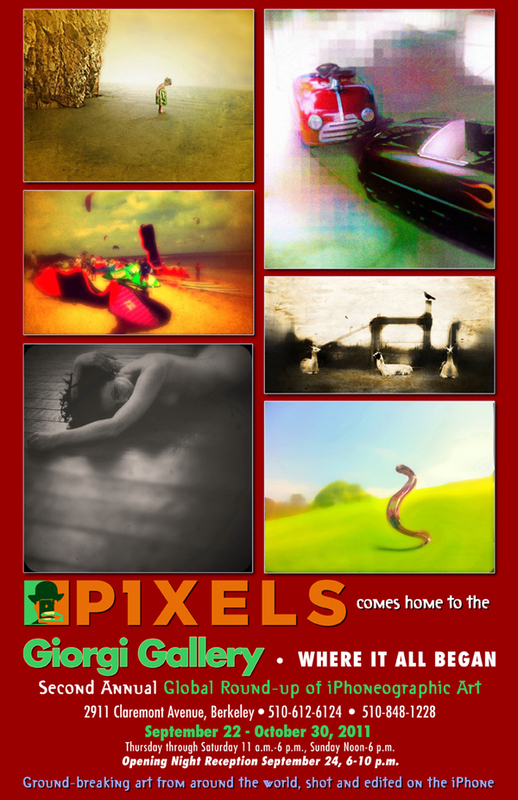 The top 15 photos will be on display in our traveling exhibition beginning Nov. 2011 and running through Sept. 2012. Prizes will be awarded based on the following categories: Professional, Amateur and Kids. Contest will run from Monday, Sept. 5, 2011 through Monday, Oct. 3, 2011. For more information contact Amy Koshy at akoshy@contactcrisisline.org. When transgender models strike poses beside landmarks in Texas’ most conservative metroplex, the results can be exquisitely photogenic yet ideologically conflicting. But the creative team of Daniel Kusner and Brian Amann hasn’t shied away from the challenge. “214 Trans4m,” is a collaborative a photo series that aims to capture Dallas’ history, architecture and stereotypes, all while straddling the invisible divide that separates the feminine and masculine. Kusner and Amann construct each image as if they’re producing a small movie. 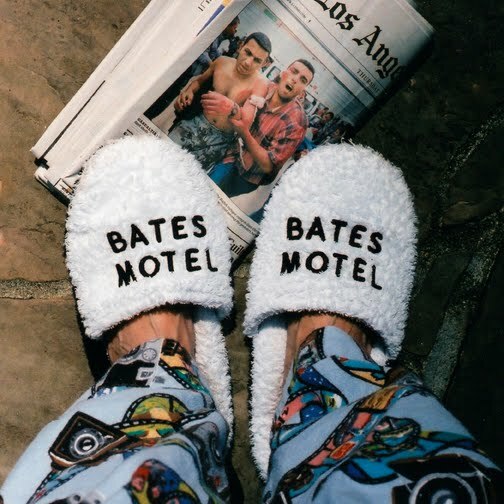 Each project involves casting characters, choosing wardrobe, scouting locations, styling and building props. Some regard Dallas (now that George and Laura Bush are our neighbors) as the Lone Star State’s cradle for reactionaries and traditionalists. Where men are men, and women are women. But Big D is too big to surrender to such narrow definitions. Like places of interest for the average visiting tourist, “214 Trans4m” invites Dallasites to look at their own city — but in a different light. • “Dallas in Wonderland” featuring local drag artist Jenna Skyy becomes Lewis Carroll’s “Alice,” kneeling beside the painted X on Elm Street and pointing toward the Texas Schoolbook Depository. True to her character, “Alice” incorporates mathematics to gauge the magic bullet’s path on the spot where a commander-in-chief’s head was ripped apart by a sniper. • “Breakfast at Neiman’s” features doe-eyed goddess Chaselyn Wade becomes a modern version of “Holly Golightly,” a down-at-heel party gal who can taste an unsullied life while gazing into a downtown window display of Dallas’ poshest retailer. • “Callas in Dallas,” features trans showgirl Erica Andrews emulating Maria Callas reenacting the day that the New York Metropolitan Opera fired, who then gave the performance of a lifetime as Medea at the State Fair Music Hall. The title of this photo is “Memora-Beale-ia,” featuring local drag performer Richard D. Curtin who morphs into a daffy Edith Bouvier Beale dancing before the Kennedy Memorial to inspire our admiration for a forsaken structure whose design was approved by Edith’s famously tasteful cousin. Daniel Kusner is a former editor of Dallas Voice and publisher of Spread magazine. 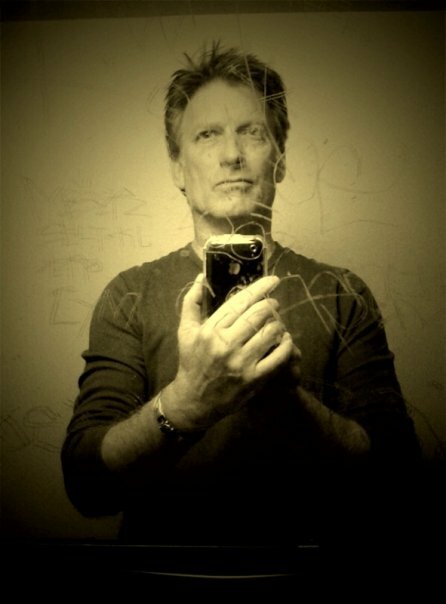 He blogs at SnipersLoveNest.com. His fascination with drag artistry began when the KISS Army recruited him at the age of seven. WHERE: Magnolia Gallery, inside the Magnolia Theatre: 3699 McKinney Ave. Dallas. Texas. CREDIT: DANIEL KUSNER AND BRYAN AMANN. Dallas Complete Streets Photo Contest – Enter Today! The city of Dallas invites you to express your desires, dreams and ideas about what makes a Great Street in Dallas. This contest is designed to help us understand from the citizen’s perspective what works well in our streets and thoroughfares now and what could work better to make Dallas a great community. We hope to spark your creativity to learn what you think about this valuable but often forgotten part of our public space — the street. We want to know what you like about particular streets in Dallas or how you would like to see them improved. Help us make Dallas streets even better by participating in the Great Streets Visual Essay Contest and be part of the Dallas Complete Streets project. The Dallas Great Streets Visual Essay Contest is open to everyone. Winning entries will receive exciting prizes! The contest term for the 2011 Dallas Great Streets Visual Essay Contest is from 12:00 a.m. on July 18, 2011 to 11:59 p.m. on August 22, 2011. By entering, participants agree to allow their photos or videos, name, city, and state of residence (school and grade for youth participants) to be published as award winners or to be used on web-based or printed publications owned or produced by the city of Dallas, sponsors of the Dallas Great Streets Visual Essay Contest, or interagency partners of the city of Dallas. The photos or videos will be used to promote the Dallas Complete Streets Project. 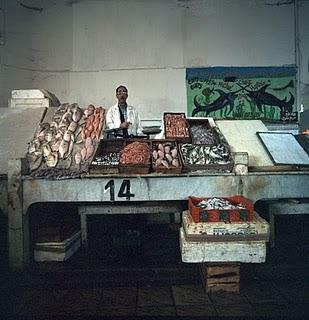 Entrants retain ownership and use of their photographs. By entering, participants warrant that their entry materials are original and do not infringe on any third party’s rights. By entering, participants release and hold harmless the City of Dallas, sponsors or inter-agency partners from any liability. If a recognizable person is in the photograph, a model release must be submitted with the entry and liability is limited to the value of prize(s). The City of Dallas may share your contact information with sponsors and inter-agency partners of the Dallas Complete Streets Project. The City of Dallas and sponsors shall have the right to verify, in their sole judgment, winner eligibility. All decisions by the Dallas Great Streets Photo Essay Contest judges will be final and binding. Pro – Entrants whose income depends on photography/videography or if you consider yourself qualified to compete in the Pro division. Amateur – Beginning or amateur photographers/videographers at least 18 years of age and experienced photographers/videographers who do not receive a major part of their income from photography. Youth – Beginning or intermediate photographers/videographers aged 17 or under. The focus of this contest is on effective communication of your ideas and opinions about street design and how it affects the attractiveness and function of a place. We are looking for your ideas about what makes a great Dallas street. Entries in all divisions may feature any street in Dallas, including streets with residential, retail, entertainment, mixed use, office, business, school, or university uses. 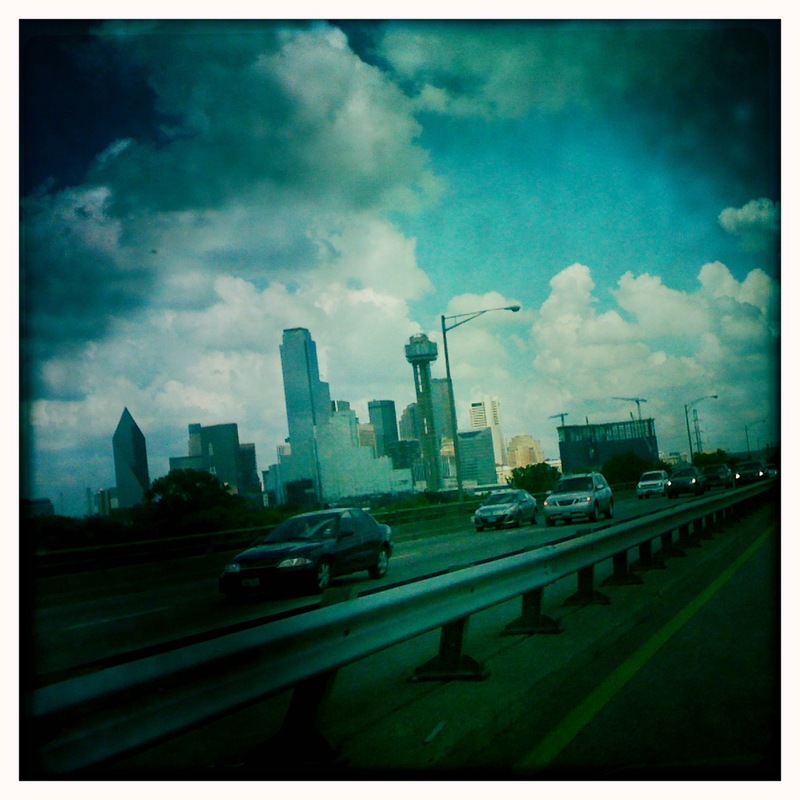 Entry photos/videos should express what you, the entrant, like about your featured Dallas street and if or how you would make that Dallas street better. Entries may combine visual media with audio, written, or graphic commentary to communicate your ideas and opinions about what makes a great street. Each participant may submit one video that is no more than two minutes in length or up to six photographs as a single submission. Videos may include photos. Any text included in the submission may not exceed 200 words. Graphic communication techniques are not limited. Each submission must feature only one(1) street in Dallas, although street elements from other streets may be used to illustrate how you would make your featured Dallas street better. The deadline for submitting entries is 11:59 p.m. August 22, 2011. Entries may be submitted beginning at 12:00 a.m., July 18, 2011 and must be received no later than 11:59 p.m., August 22, 2011. Photos or videos taken before the Contest Term are eligible. The size limit for your entire submission package must be less than 20MB. If selected for publication, entrants may need to provide higher resolution photos later. Click here to submit your entry through the online submission form. The size limit of the attached photos/videos must be less than 20MB, entrant may need to provide higher resolution photos later. Prizes will be awarded to winning photos/videos submissions in each division — Pro, Amateur and Youth — and one grand prize winner will be awarded from any division. A panel of judges well versed in visual communication and street design will judge the contest. The grand prize winner, place winners 1, 2, 3 and honorable mentions will be determined at the judges’ discretion. Entries will be judged on relevance to Dallas Complete Streets project goals, effective communication, creativity, and artistic merit. For more information about Dallas Complete Streets project goals, click here. 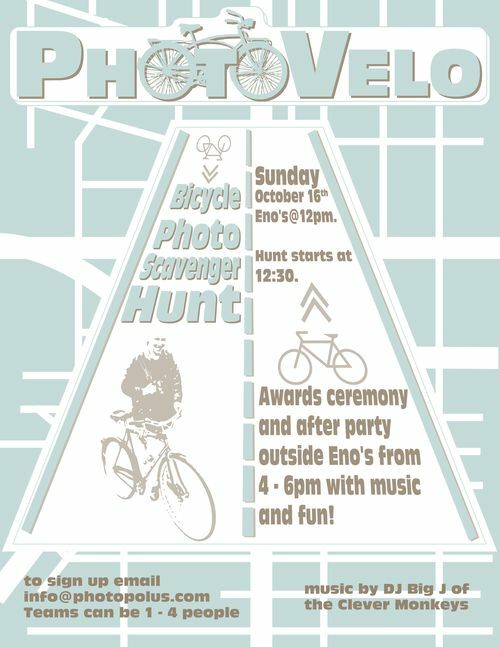 For additional questions, please e-mail @ photocontest@dallascompletestreets.com. To receive updates about the Dallas Complete Streets project, please register here. Thank you and we look forward to your participation in the Dallas Great Streets Visual Essay Contest! As a local political election starts early voting tomorrow, so do we! We actually start right now, with polling you, our dear readers to find out what image from the finalists of the “Dallas Rides” photo contest speaks to you the most. The winner shall receive a sweet little goody bag with some deals and offers from a handful of our favorite local retail establishments. So tell us now, which photo SCREAMS, “Dallas Rides!” Voting will continue through Tuesday, May 10 and the winner will be announced shortly there after. PHOTOGRAPHERS: Magnum portfolio submissions open now through May 15 – read the rules here. 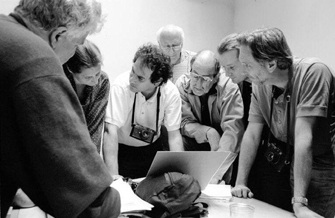 Magnum Photos is a co-operative owned and run by its members/photographers. They meet once a year during the last weekend in June to discuss the organization’s affairs. One day of the meeting is set aside for looking at and voting on potential new members’ portfolios. Successful applicants will be invited to become a “Nominee Member”, a category of membership which presents an opportunity for Magnum and the individual to get to know each other. At this stage there are no binding commitments on either side. In 2007 three new nominee members were accepted. Photographers based in the United Kingdom, the Commonwealth, Africa, South East Asia and the Middle East who wish to be considered should get their portfolios to Magnum Photos’ London office. Please email magnum@magnumphotos.co.uk if you have any further questions. Please note that Magnum London is only considering digital submissions. Those residing in the Americas should submit their portfolios to our New York office, which can be contacted at photography@magnumphotos.com. Please note that Magnum New York is only considering digital submissions. Applicants must make their own arrangements to deliver and collect their portfolios if required. Magnum Photos cannot take responsibility for any portfolios sent by the post. Please make sure that all material is clearly labeled with contact details, content and the specific format. All portfolios will be ready for collection in July. Please note that these are provisional details and are liable to change. Please phone or e-mail Magnum offices closer to the time to check dates. We regret that due to confidentiality reasons, Magnum cannot give out personal information regarding our photographers, nor can we enter into correspondence regarding any decision made about Nomineeship. – Up to 80 images can be submitted digitally. Images only please. Do not submit images in a movie or slideshow format. – The resolution of each image must be 72 dpi and cannot exceed 1200 pixels on the longest side. – Images should be submitted on a CD-ROM as JPEG files with compression 8-10. – Please do not use any spacing in the name. – Please include a statement about your work, resume, bio and current contact information as .doc or .pdf files on the same CD. – Please test the CD before you send it to us and be sure to label it with your name and contact details. – If you wish to have your materials returned you must include a self addressed stamped envelope with the correct postage, UPS or Fedex waybill and the proper material to ship it back in. If you would like to make arrangements pick up your submission you may do so by contacting the appropriate office. There are no such restrictions for submitting books, photographs or portfolios. However, your editing skills will be deemed as important as your ability to photograph so please bear this in mind when refining your submission. Submissions must be postmarked no later than May 15, 2011 to be considered. 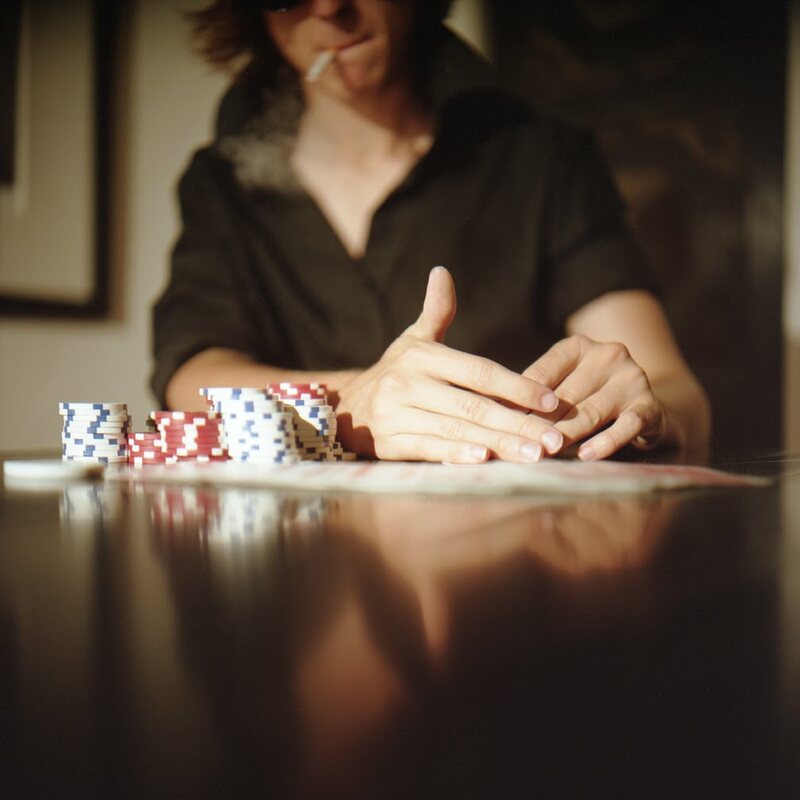 Lenscratch is creating exposure opportunities for photographers with group on-line exhibitions. Photographers will be allowed ONE entry per exhibition and ALL photographs will be published. 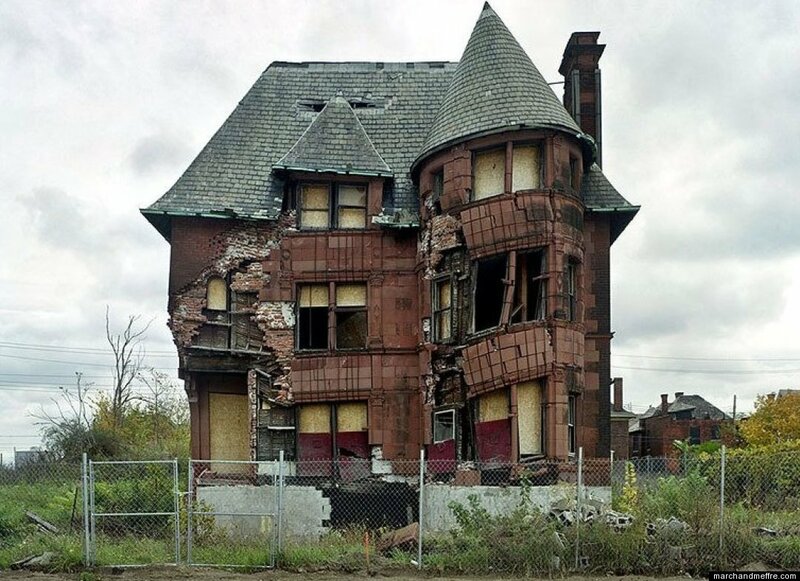 A new book called Ruins of Detroit displays Detroit’s downtown landmarks in decay: Abandoned hotels, houses and schools line the streets as a reminder of the city’s economic downfall over the past century. The devastation takes on an eery beauty, as captured by Yves Marchand and Romain Meffre. Click here for full slideshow and article.